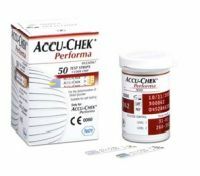 The new Accu-Chek Performa offers great performance due to its intelligent safety checks. The Performa technology enables a precise interaction of meter, test strip and activation chip. With each measurement the system checks various factors that may influence the result and reacts accordingly. Test averaging. Meter provides 7-,14-, and 30-day test averaging. Other Features Hypo indicator, 4 customizable test reminders, general flag, automatic recognition & flagging of control solutions. To Recieve updates and possible rewards for Accu-Chek Accu-Chek Performa Blood Glucose Meter please sign in. To Recieve updates and possible rewards for Glucometer please sign in.